Last weekend I was lucky enough to go along to Britmums Live – the largest parent blogging conference here in the UK. 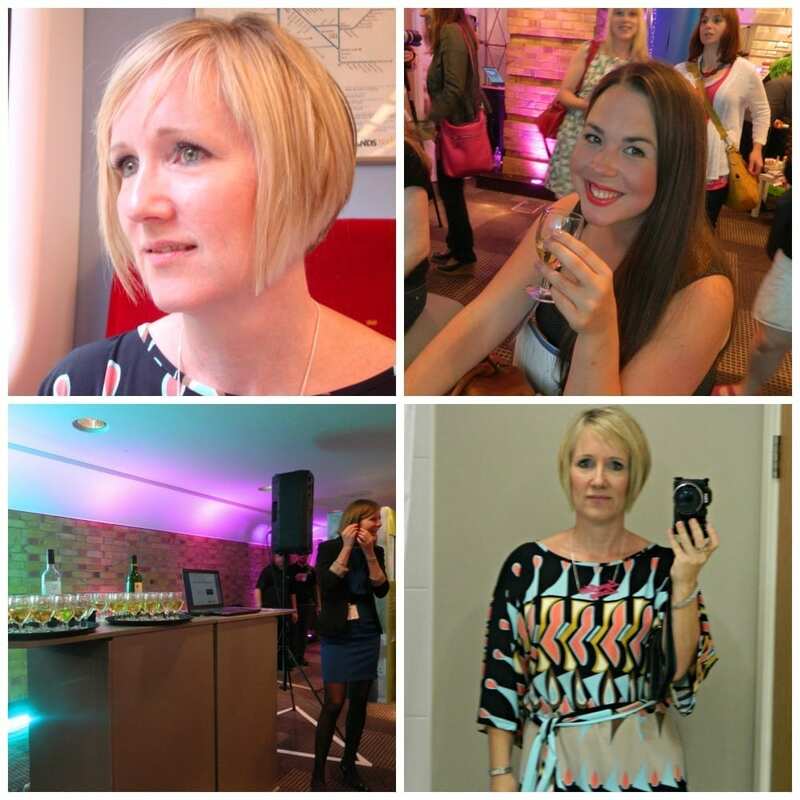 Hosted at a fabulous venue, The Brewery in London, across 2 days, over 500 bloggers got together to celebrate, share, learn, laugh and cry at a most inspirational event. For me personally, I was excited to be a Finalist in the Style awards category and was due to speak on the Style Panel on the second day. It was a weekend of firsts and as exciting as that was it was also quite daunting. I wasn’t on my own though, and shared the journey and my hotel room with the fabulous Penny from A Residence, who is accomplished, calm and experienced at these kinds of events. Our journey was fuelled with adrenalin as we chatted about panel speaking and Penny’s literary pitch about her book idea. 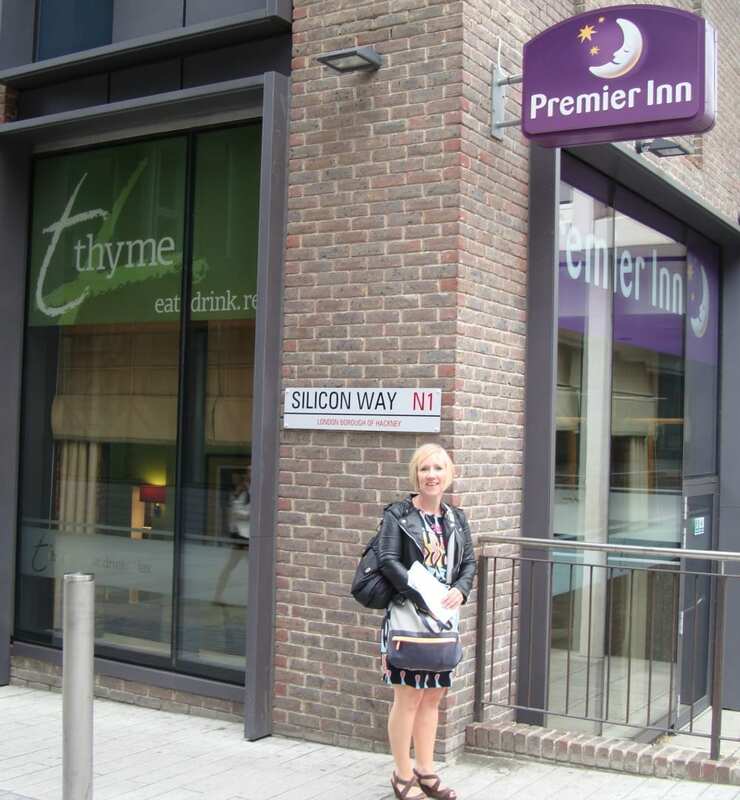 Our hotel sponsor, the Premier Inn organised a room near the venue and even though we initially walked in totally the wrong the direction, we finally found it very close to the Tube Station! 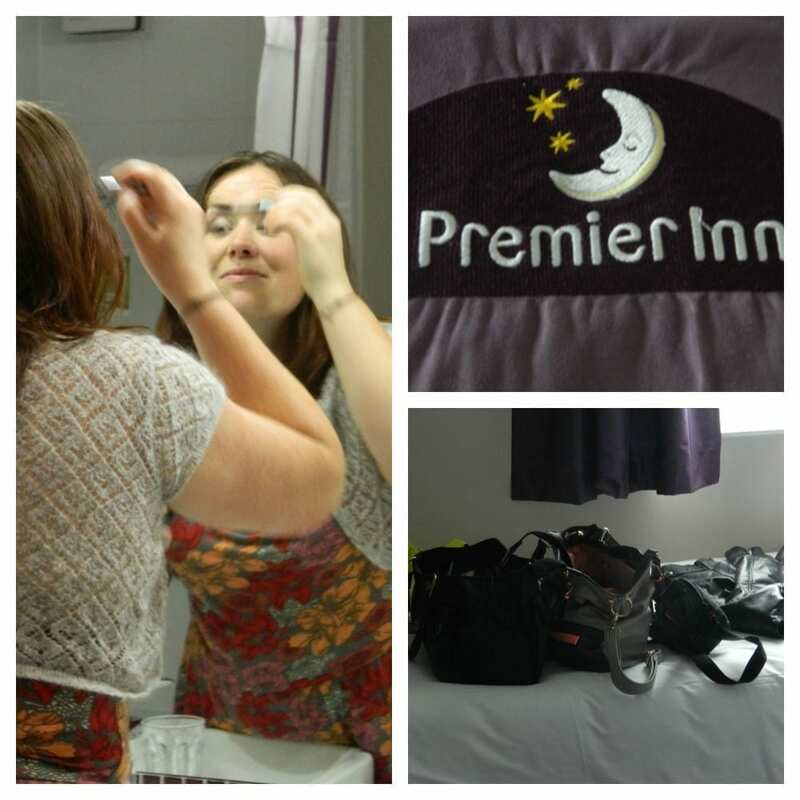 As ever with Premier Inn the room provided everything we needed and with the promise of a night-time lullaby from our receptionist Carla, we knew it would be a pleasant stay. I felt great with my outfit kindly provided by the Awards’ Sponsor TKMaxx. I’d bought the dress, some shoes, perfume and accessories and as it needed to carry me from the conference in the day, through to the awards in the evening I was even carrying flat shoes in my bag! 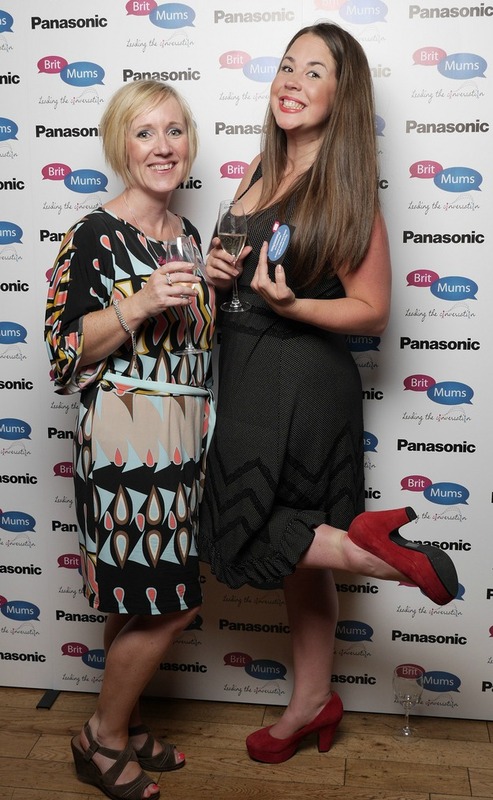 My Britmums buddy, Lucy from Lish Concepts was as glamorous as ever and while Penny went off to be a Britmums Butterfly, Lucy and I made the most of chatting to brands like Panasonic and Butlins as well as tasting the very lovely Asda wine. As you can tell, these conferences are very hard work! With the whole event being kicked off by the very funny and down to earth Kirstie Allsopp, the atmosphere seemed tense but electric. Following a few panel discussions and lots of hellos it was time for the awards. Each year thousands of blogs are nominated for the BiBs – the Brilliance in Blogging awards – and I was ecstatic to be a Finalist (just one of 6) in the Style Category, a category usually filled with fashion and beauty blogs. This is where the thanks part comes in. Thank you to everyone and anyone who took the time and trouble to vote for me in the earlier stages. The last 18 months have been fun filled and exciting and I really hope things continue to move in the same direction over the next few years, so thank you, it means such a lot that you thought of me. Now unfortunately this wasn’t my year and the award went to the lovely Vintage Folly, but onwards and upwards. I met some lovely fashion bloggers and mingled with them, and felt adopted into the fashion and style world. So Day 1 ended with me feeling exhilarated, exhausted and relieved. I’d learned lots, met many others, mingled with brands, laughed and had great fun. Come back later in the week to find out how Day 2 went. The Style Panel, workshops and the incredible Katie Piper will all feature in there so do check it out. Disclosure: As you will have gathered I was given an outfit from TKMaxx and a complimentary hotel room from the Premier Inn. All opinions and comments expressed are genuine and my own……..
You looked fab in your dress and it was a great first day. I wish I’d had more time to chat with everyone though as time whizzed by. I think you were robbed of the award! Haha, bless you Emma! Indeed, wish there had been more time to chat! Well done on being in the final five – there are hundreds of bloggers out there now so you did well. Pingback: John Lewis Launch New TV Ad – What Matters Most in your Home?